Home August 1 2011 Vol. 31 No. 14 Feature Articles Where Will Mice End Up in the Rat Race? Laboratory mice and rats have been traditional animal models used by scientists for almost 150 years. In fact, the purposeful use of rodents for the investigation of human disease dates back to the mid 19th century. Today, mice and rats make up 95% of the animals used in biomedical research. These rodents are central to the drug development process in their ability to model certain diseases and predict a drug’s performance when administered to humans. They are used across many therapeutic areas for numerous applications including pharmacology and toxicology. Given their size and physiological characteristics, rats have been the historical models used in preclinical drug discovery efforts. Why? The physiological makeup of rats makes them better suited for research in certain therapeutic areas, and their larger size makes rats more amendable to procedural manipulations. The popularity of rats as research models may continue to increase even further as the recent emergence of new techniques to create knockout rats now allows researchers to manipulate the rat genome in new ways. Knockout rats have started to gain momentum as disease models and, if this trend continues, may become serious contenders to mouse models in the future. From a physiological perspective, the liver metabolism of rats—in terms of the number and type of liver enzymes—is more similar to humans. The rat is often favored by researchers due to its morphology, which makes it easier to surgically manipulate, dose, and collect samples from. As such, rats are preferred over mice for many ADMET studies. Physiologists and pathologists may prefer the anatomical characteristics of rats as well. For example, the cardiovascular system of the rat is more similar to humans as compared to the mouse. This, coupled with its larger size, makes the rat a preferred cardiovascular model for many applications. Cardiovascular research, however, is not the only therapeutic area in which rats are often considered superior models to mice. Rats have many behavioral and cognitive characteristics similar to humans as well, and hold the promise to more closely model certain psychotherapeutic and neurological disorders such as Parkinson disease, Alzheimer disease, schizophrenia, and autism. While there have been many types of genetically engineered mice created to model these conditions, the mouse models used to date are often criticized for their lack of predictivity relative to the human disease. As such, findings often fail to result in target validation and successful translation to disease-modifying therapies in humans. So, if rats are more like humans physiologically and anatomically, and are better models in certain therapeutic areas, why have they been in the background for so long? Over the past three decades, techniques for genetic engineering have allowed for the production of a variety of genetically engineered animals that express myriad human diseases. Unfortunately, some of the techniques commonly used in mice could not be replicated in rats. Over the past several years, however, technological advances in genetic engineering have allowed scientists to produce targeted manipulations of rat genomes. Such advances include chemical mutagenesis, transposon-mediated mutagenesis, zinc finger nuclease (ZFN) technology, and most recently modification of genes in rat embryonic stem (ES) cells. This latter approach, developed by a group of scientists led by Qi-Long Ying at the University of Southern California, was long thought impossible in rats due to the fact that ES cells from rats did not maintain their pluripotency in culture. This group successfully used homologous recombination to modify genes in ES cells in 2010. What does this all mean for the biomedical research community? Supported by the wealth of information collected on the rat to date, these emerging tools are boosting the significance of the rat as an animal model. All together, these techniques have opened the door for new possibilities with the premise of creating more predictive models, which could reduce drug development costs and increase success rates. Two companies—Transposagen Biopharmaceuticals and Sigma-Aldrich Advanced Genetic Engineering (SAGE™) Labs—have already begun creating and distributing knockout rat disease models. Transposagen, using mobile DNA technology, has made available to the research community over 100 unique knockout lines, and is planning to produce 30,000 unique knockout rat lines in all. SAGE is using ZFN technology, which generates site-specific, double-stranded breaks in the genome, to create knockout rats for a variety of conditions including diabetes, Parkinson disease, and Alzheimer disease. The firm recently announced a collaboration with the Michael J. Fox Foundation to create a model more representative of human Parkinson disease in the rat. Will the Rat Really Replace the Mouse? Genetically engineered rat models could potentially overcome the shortcomings associated with mouse morphology and physiology and, in the years to come, make the rat the model of choice for elucidating gene function and decoding physiological processes. But what practical barriers exist in transitioning to the rat, and how long will it take for knockout rats to be fully embraced by the biomedical community? While the rat may be the preferred rodent in many contexts, logistical challenges including animal facility setup, housing space constraints, and other financial considerations may slow acceptance of the knockout rat as a mouse alternative. The scientific community will need to weigh these considerations against the incremental value a disease model in a rat background may provide. Similar to other tools, industry acceptance of genetically engineered rats will require time to develop models, publish results, prove the utility of a model, and garner acceptance from regulatory authorities. While the rat may offer an improved platform when compared to the mouse in many cases, availability, production throughput, and costs will all play a role in determining how widespread the use of knockout rats will become. 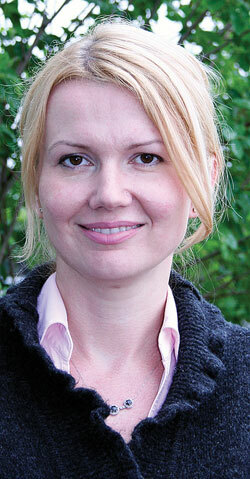 Iva Morse (iva.morse@crl.com) is corporate vp, global research models and services, at Charles River.